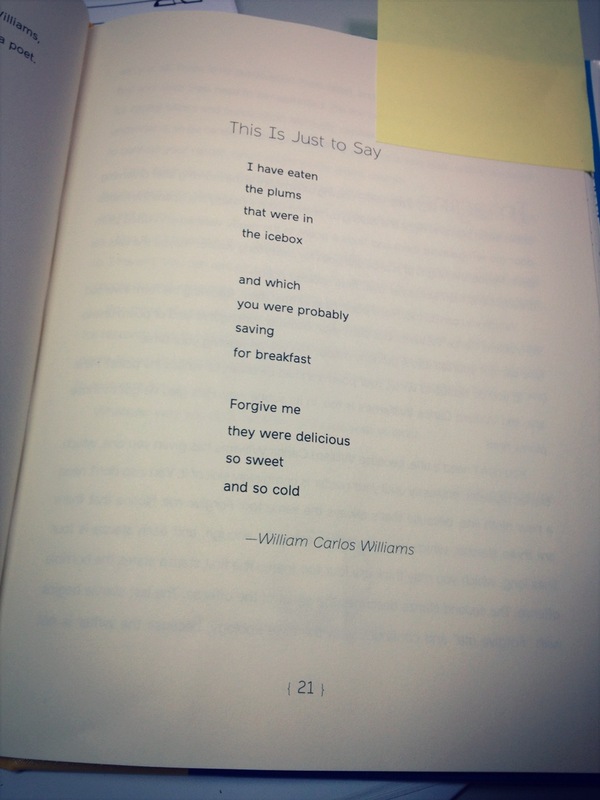 I just read every poem aloud to my students. Oh my word, I want that book. 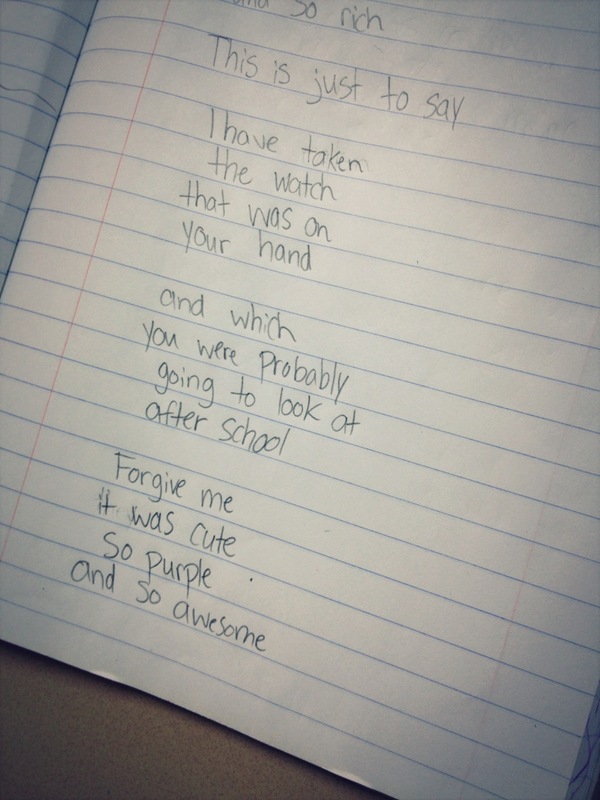 Those poems are fantastic. Your students are so good! 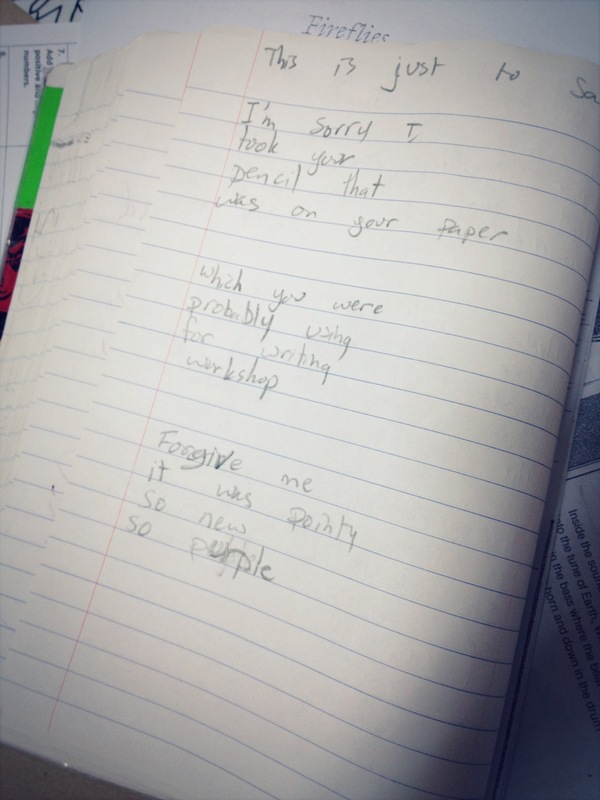 Umm… I apologize I meant I read every poem aloud to my roommate, I must have been thinking about my students when I wrote that! You are so welcome Jee Young! 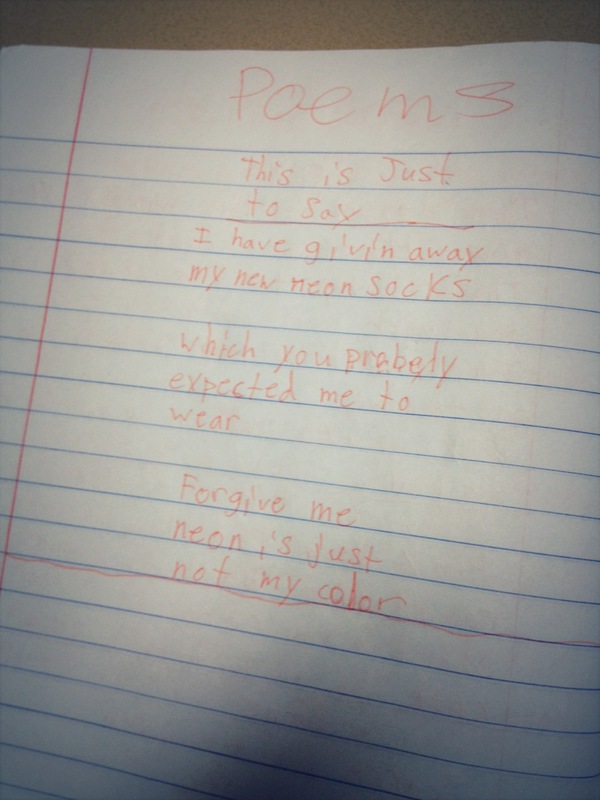 Your students’ poems are hilarious. Thanks for sharing! Love this! Thanks for sharing…I will have to run out and get this book! Yay! I’m doing this with my fourth graders. 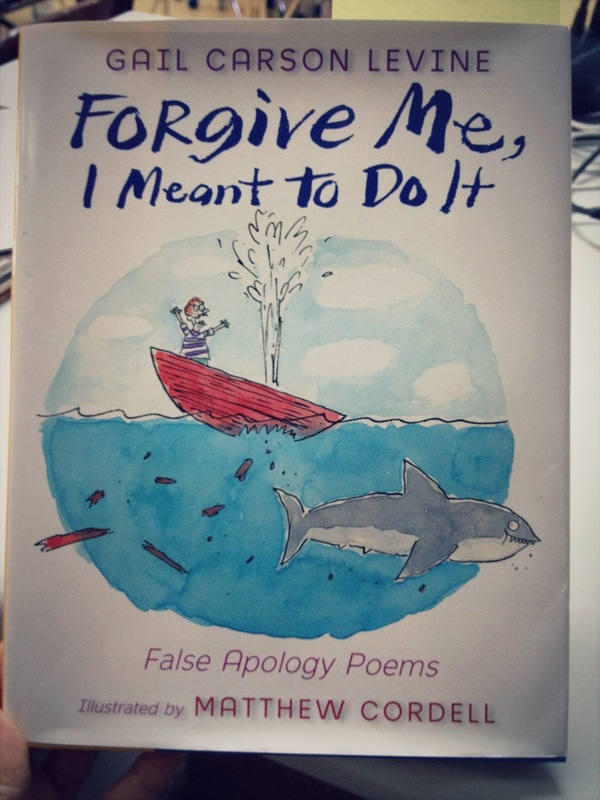 I wrote two of my own false apology poems, and almost posted them today! How funny! I’ll probably post them next week, since I decided to dedicate today’s post to Challenger memories. Oh, what fun! 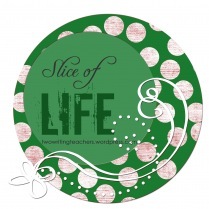 Thank you for sharing how Elsie’s gift brought smiles and poetry to your classroom. What a wonderful mentor text! Congrats to your poets . . . and this is just to say that I encourage them to write more, more, more! 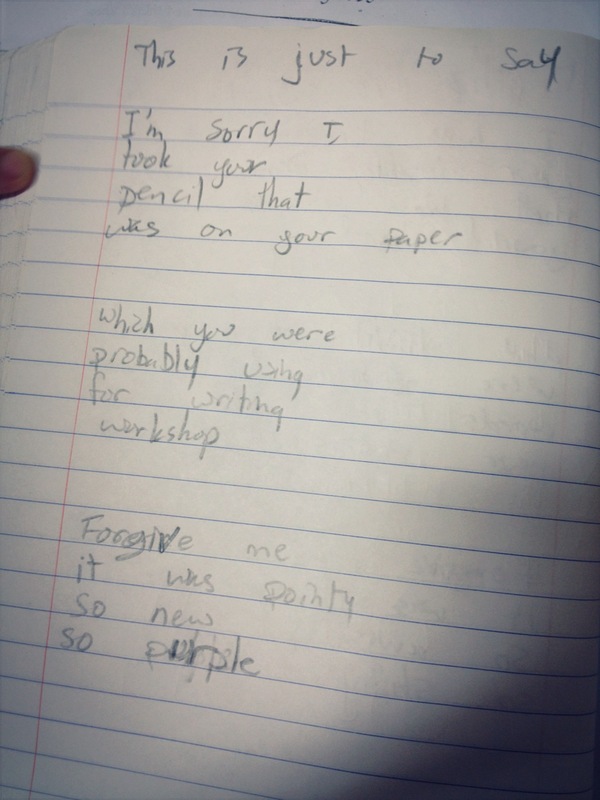 What fun to see the poems your students wrote from their writer’s notebooks! Thanks for sharing! Love the way you use thus poem as a mentor text! Thanks for sharing it and the students’ responses of their poems too! It’s obvious through their poems that they connected with the concept! Another great idea! Your students did a great job!